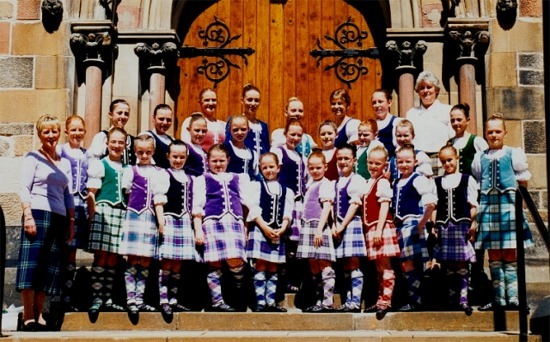 The Princess Royal and the dances and dancers of Scotland. The Princess did not limit her herself to a mere taste of this wonderful art form in her recent visit but fully immersed herself in the culture, history and the generosity of the Scottish people. Like her ancestor Queen Victoria the Scottish people and their culture is of great interest and indeed a part of her own history. The dances of Scotland have played a special role in entertaining the Princes Royal on her travels. The official opening of The Wynd Centre was such an occasion. The Wynd Centre is truly the ultimate in Community Centre. Glen McGregor,Vice Chairman and spokesperson for the Centre said, " You may be interested to learn that our counseling figures are through the roof. Over the past twelve months something like 85 groups have used the centre with five other charities having a permanent office facility in the Centre and another 30 meeting permanently" Situated in the centre of Paisley, the Wynd Centre plays an important role as a focus for charitable and voluntary service within the area. The arts are also a vibrant part of the centre. "In 1987 Paisley, the largest town in Scotland had no resident professional theatre company and no resident Youth Theatre. All that changed in 1988 when PACE Theatre Company was launched and who then in turn founded Paisley Youth Theatre. Now less than ten years later , and from very humble beginnings, PACE has moved to the forefront of Theatre in Education in Scotland and turned PACE Youth Theatre into the largest single based Youth Theatre in the United Kingdom with almost 1000 members and hundreds more waiting for places. You may check on PACE through their website www.pacetheatre.co.uk but the dances and dancers of Highland are also represented through the Christine E. Aitken Academy of Dance. It was indeed the dancers from the "resident company" that entertained the Princess Royal on her visit to the Centre. Although the Princess did not speak directly to the children her presence spoke volumes. The normally boisterous group of children were somewhat in awe however they loved "being there", the "lunch and the cake!!!" and "forming the guard of honour" were very special highlights to their day. 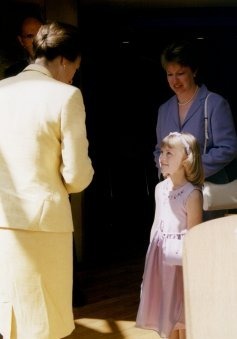 Lorna McGregor, age 6 was given the special honor of presenting the Princess with the flowers. The princess asked Lorna if she had been to the Centre before and "I said Yes!" The Princess also asked if she danced with the girls and "I said Yes!" 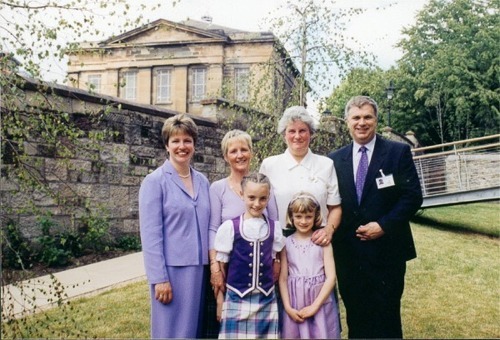 The princes also had a chat with the Christine Aitken and the Lord Lieutenant of Renfrewshire spoke to a few of the girls regarding the school. The Princess applauded the Highland Fling and the dancers certainly made a hit, as did the Princess.